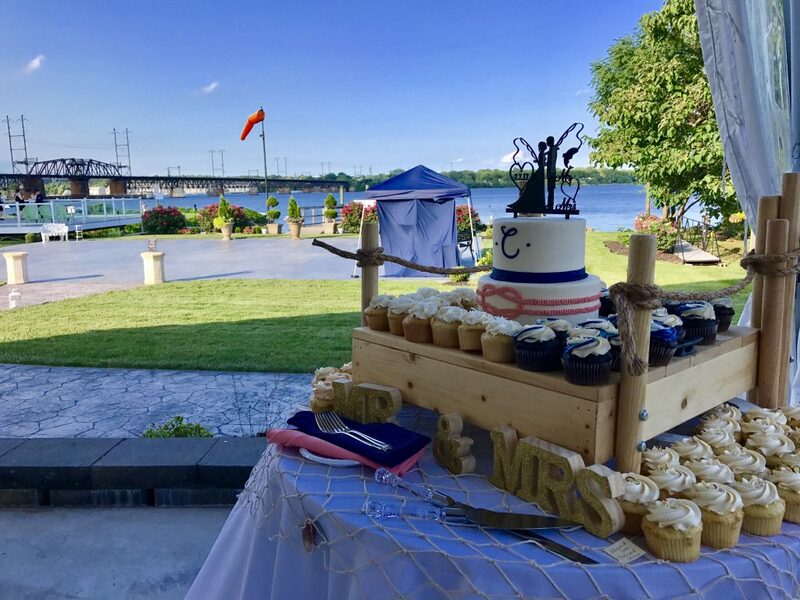 They became Mr. & Mrs. Casas Friday evening along the Chesapeake Bay in Havre de Grace, MD. 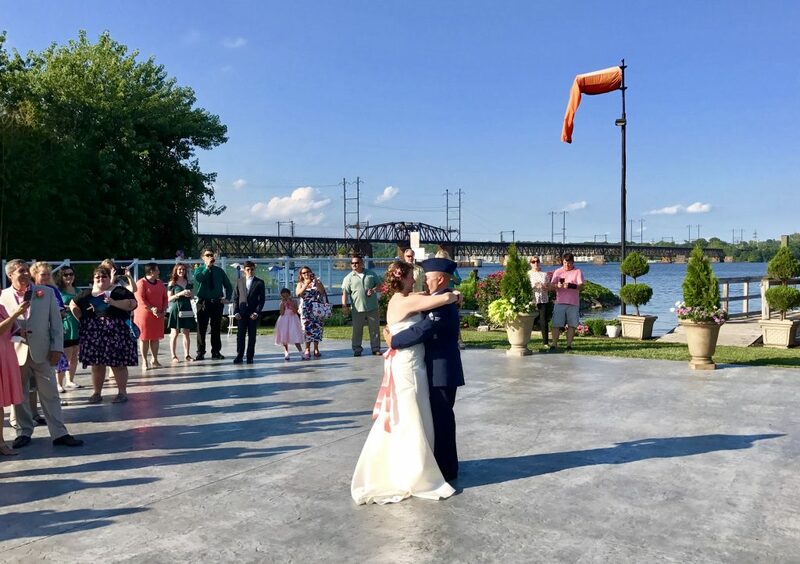 Ashley & Anthony’s ceremony and reception were held at La Banque de Fleuve’s Seaplane Base and it was beautiful! 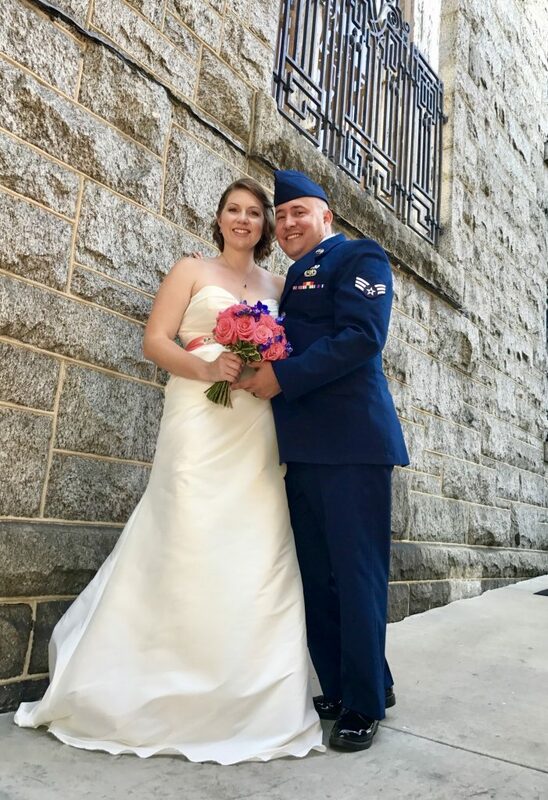 The newlyweds spoke their vows to each other under the guidance of their officiant, Mark Patrick and then enjoyed a recessional to Stevie Wonder’s “Signed Sealed Delivered”. Guests followed and cocktails and appetizers were served by the wonderful staff of Dean and Brown Catering. 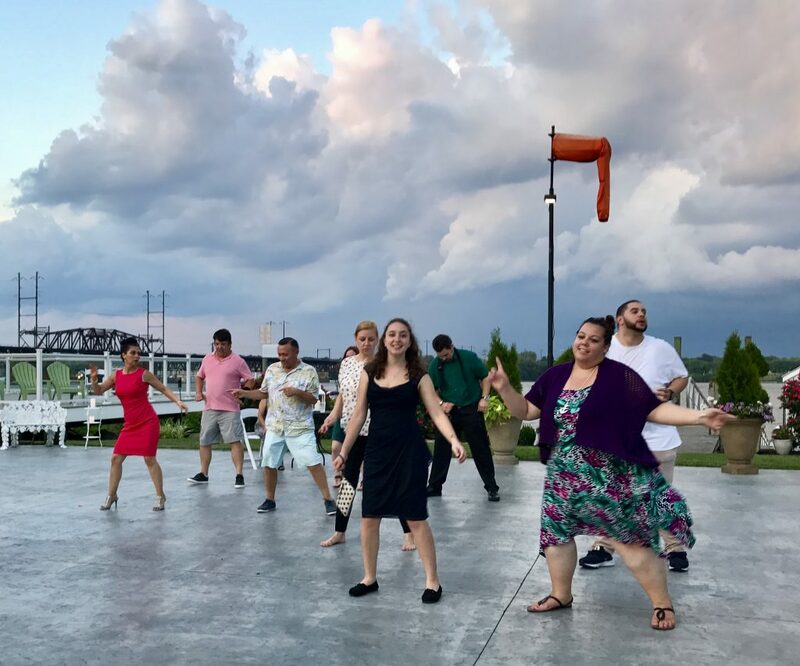 The Bride & Groom were formally introduced by DJ Frank onto the venue’s waterside patio and then they danced their first as a married couple to Michelle Featherstone’s “We Are Man an Wife”. 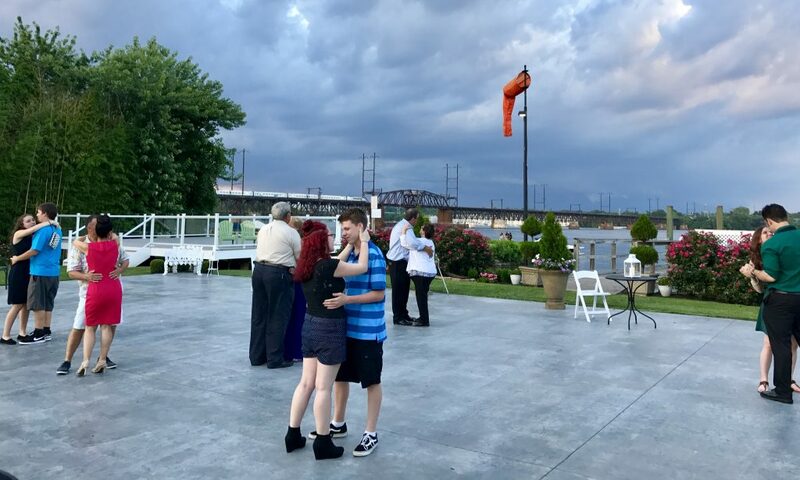 Anthony danced with his Mother after that to The Tenor’s version of “Forever Young” and then Ashely danced to “My Little Girl” by Tim McGraw with her Father. 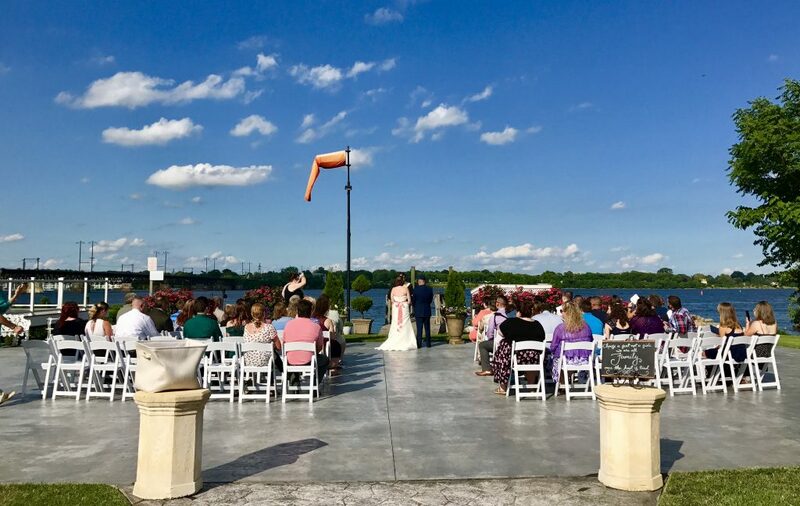 A garter and bouquet toss preceded a welcome/thank you speech from the Groom and then guests were invited to the dinning area for the buffet meal. A cake cutting came next and then guests enjoyed cupcakes provided by Desserts by Rita and a night of dancing. 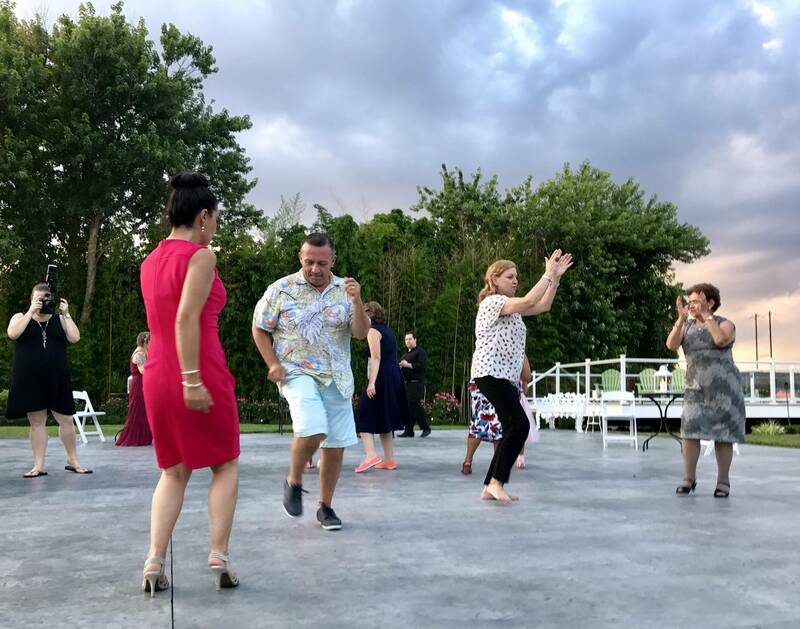 Songs requests by artists such as Lionel Richie, Enrique Iglesias, Maddie & Tae, Beyonce, Daddy Yankee, Brooks & Dunn and more filled the evening air for the remainder of the celebration. Ashley & Anthony’s big day ended with hugs, well wishes and Old Crow Medicine Show’s “Wagon Wheel”. 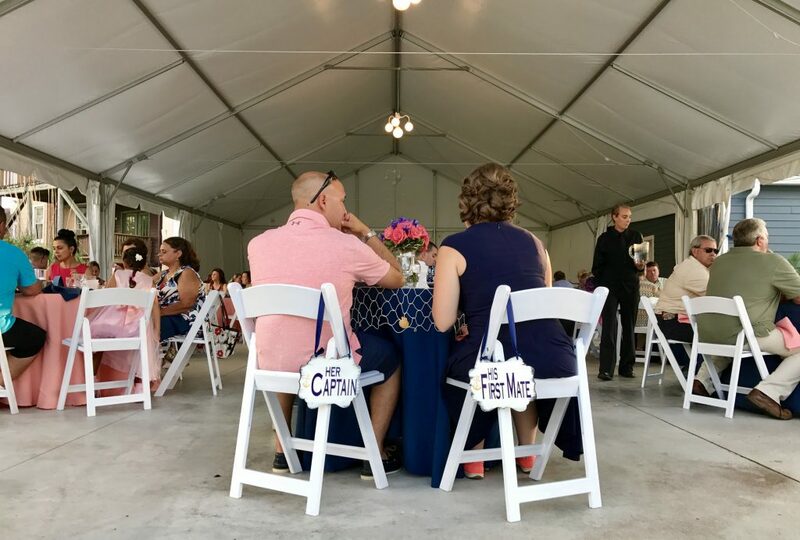 A huge thanks to Mr. & Mrs. Casas for their easy going and laid back approach to their big day and to all the great vendors we worked with.